Home / Essays. 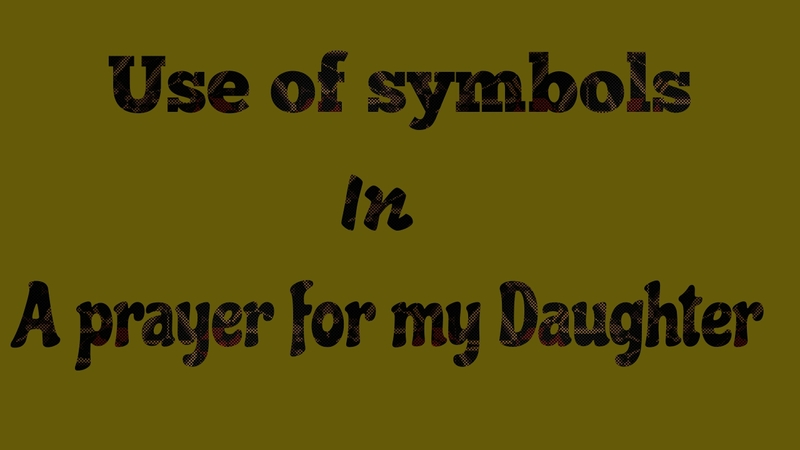 / Poetry / W.B Yeats / Use of Symbols in "A Prayer for My Daughter"
Use of Symbols in "A Prayer for My Daughter"
Yeats is regarded as a great symbolist in English literature. He was the symbolist from the very beginning of his career. His symbols are very varied. His symbols are often very obscure and almost unintelligible to the readers. The reason for the obscurity of his symbols is that Yeats was interested in occult studies. His study of occultism included his love of fairies, banshees, astrology, automatic writing and prophetic dreams. However, his symbols are also responsible for much of the effectiveness and excellence of his poetry. A symbol is something which stands for something else. For example, a flag stands for the sovereignty of a country. 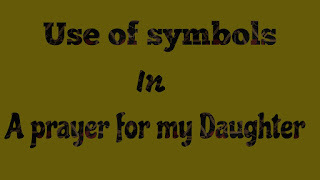 Symbols can be of two types: (1)traditional symbols and (2) personal symbols. Traditional symbols are stock symbols which are in general use. That is they are used by different writers for the same purpose. But the personal symbols are devised by a poet himself, and are used for his personal objective, and as such he may be different from the others as regards the objective of the symbol. By the use of symbols a writer cam express much more than he can with the ordinary use of words, and symbols make his writing more vivid and evocative. 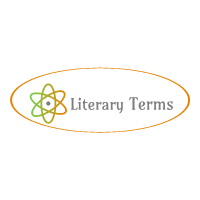 Yeats made use of both kinds of symbol__ traditional and personal, and sometimes he used the same symbol with different purposes in different contexts. The next symbol is contained within the lines, “It’s certain that fine women eat/A crazy salad with their meat/Whereby the Horn of plenty is undone.” ”Crazy salad” stands for extravagant style of living, and ”Horn of Plenty” symbolizes abundance and prosperity. By extravagant way of living, very beautiful women destroy gradually their abundance and prosperity. Again, the lines “May she become flourishing hidden tree/That all her thoughts may like the linnet be” contain a beautiful symbol pregnant with a lot of meanings. Later on in the same stanza the poet mentions the laurel tree rooted in one dear perpetual place. These lines symbolize the wish of the poet that his daughter may be like a flourishing tree giving large benefits to mankind and the linnet symbolizes the thoughts, noble thoughts, that the poet wishes his daughter to have when she grows up. His daughter will thus be a great humanitarian, but she will remain in the same place. “Assault and battery of the wind/Can never tear the linnet from the leaf” symbolizes the attacks verbal or otherwise, that hatred may breed will not work havoc if there is no hatred in one's mind. An “old bellows full of angry wind” stands for the violent and fanatical outburst of Maud Gonne who was a very beautiful girl and a political activist of Irish nationalism.